We get hundreds of questions about electrical issues on Harley Davidsons. Some of the issues are common component failures like a bad ignition coil or a bad crank position sensor. 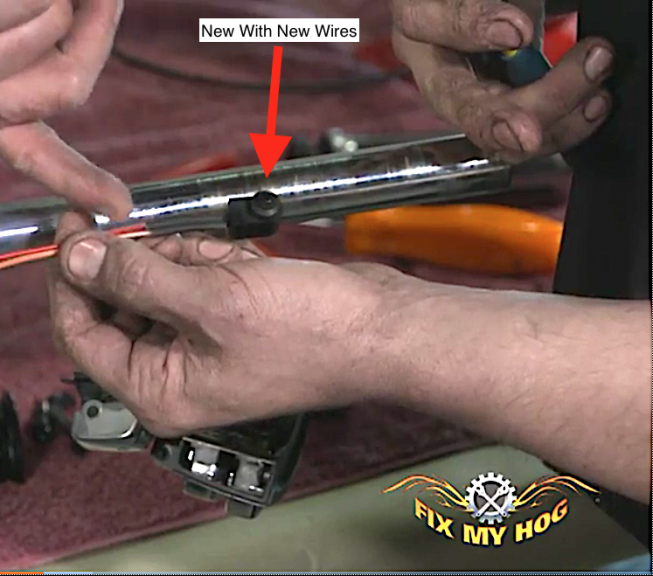 Other issues are more commonly caused by incorrect installation of aftermarket components like handlebars or lighting. 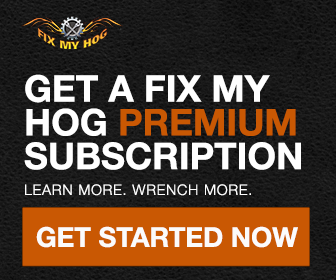 The most common electrical issue we come across is front brake switch failure. Diagnosing this issue can be relatively cut & dry but it really seems to stump some riders. 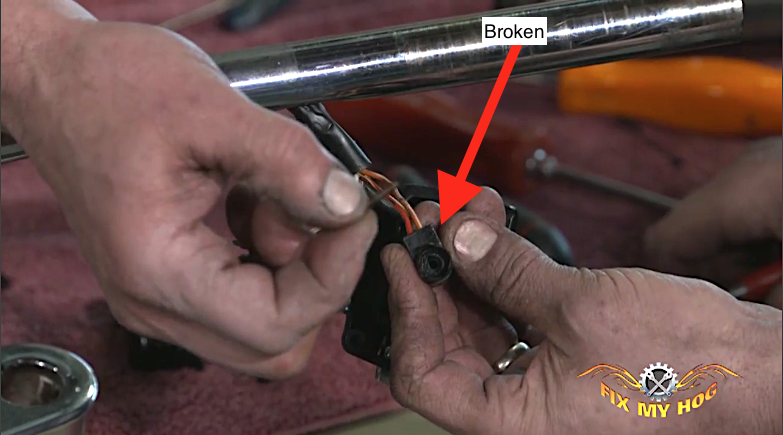 Whether dealing with a 1991 Softail, a 2003 Sportster, or a 2014 Ultra, there are common reasons for failure and common ways to repair a front brake switch issue. Although it has changed over the years, the front brake switch has always been a delicate part. Owners often break the switch when attempting to remove, install, or adjust controls and switches. Always use a soft shim to wedge the front brake lever when making any adjustments or repairs in the area. Holding the lever in this depressed position allows for clearance between the brake switch and the allotment on the lever. When the switch is structurally broken, the brake light will typically be stuck on. If the brake light is stuck on, two filaments will be illuminated in the taillight bulb. One way to determine if your front brake switch is broken is by simply depressing the front brake lever and visually looking at the sliding “button” section of the switch. If the end of the switch is damaged or broken, it will not be able to correctly engage with the front brake lever. A more definitive way to test the switch is by accessing the switch and testing its two wires with a test light or multi-meter. Aftermarket levers are often poorly designed. If you replace your levers and suddenly find that your brake light stays on, the tab on the lever may not be aligning with your brake switch. Best fix for this is to return the levers for a quality set of HD levers. My wife’s bike is a 96 Sportster she went to fire it up and nothing. In the 1st turn of the ignition the speedo lights up the second turn no headlight or taillight and it won’t start. I’ve replaced the fuses and checked the main fuse everything is good. I’m totally baffled. If you are certain that your breakers/ fuses are ok, test for power in & out of your ignition switch. You could have a bad switch.